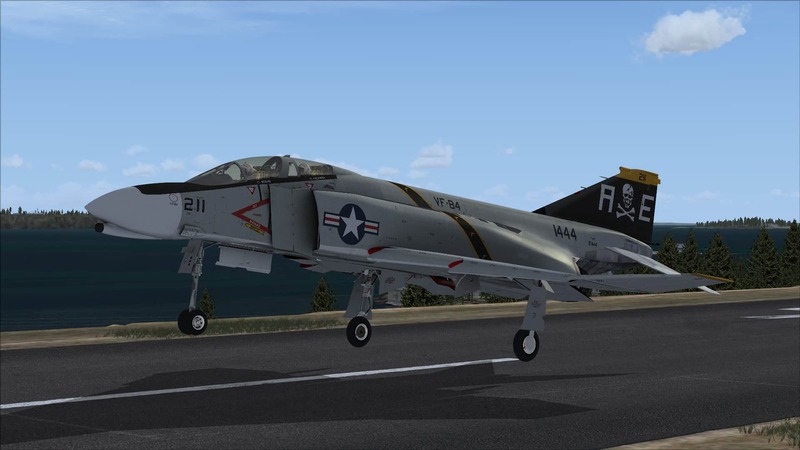 The F-4 Phantom II™ from SimWorks Studios is now available on Steam. Possibly the fighter with more affectionate nicknames than any other, this can only reflect the Phantom II’s popularity with crews during its long career. The SimWorks Studios recreation of this legendary jet is just as sure to please FSX: Steam Edition pilots, with high levels of detail, multiple ordnance load-outs and both ‘B’ and ‘N’ variants and cockpit variations included. 17 paint schemes are included together with weathered and factory-fresh versions, while a comprehensive online manual takes you through everything from general information to electronic counter measure systems. Look out for news of more SimWorks Studios add-ons coming soon to FSX: Steam Edition!